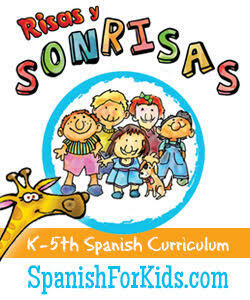 Mommy Maestra: Back-to-School Geography-World Cultures Giveaway! 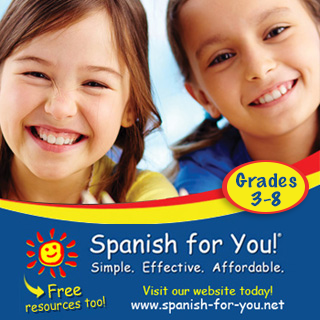 It's time for one last giveaway as part of MommyMaestra's Back-to-School Fiesta! By now most of you have kids who have already started back to school. 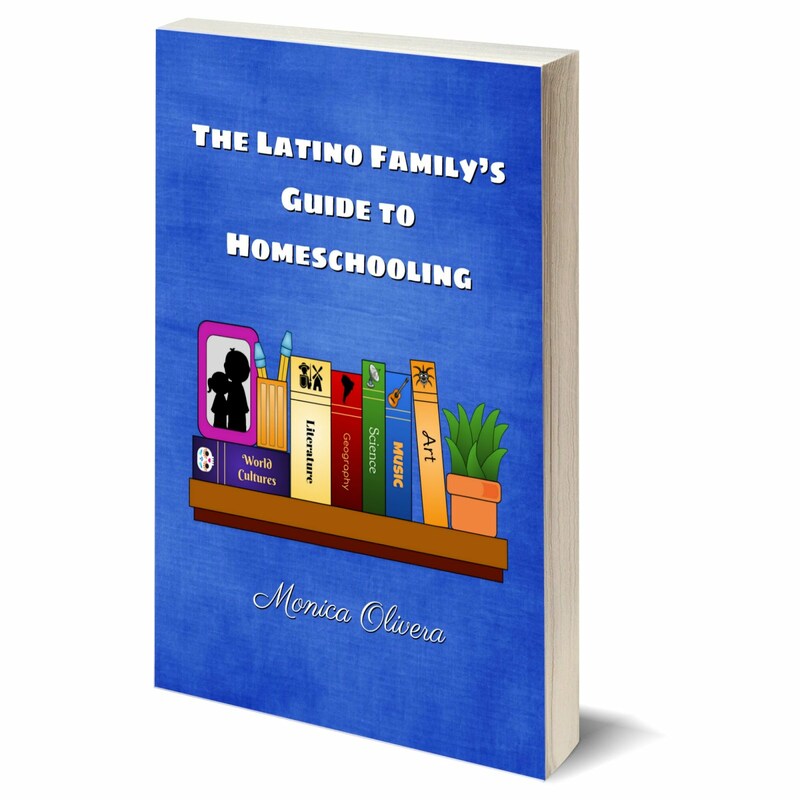 As for my own homeschool journey with my kids, we started back to school on August 1st. Two of the subjects that are most imporant to me are geography and world cultures. So I'm always on look out for materials, tools, resources that help me teach these to my own children. Which country has more than 800 languages? Where is there land, but no countries? Which is the world's most popular sport? 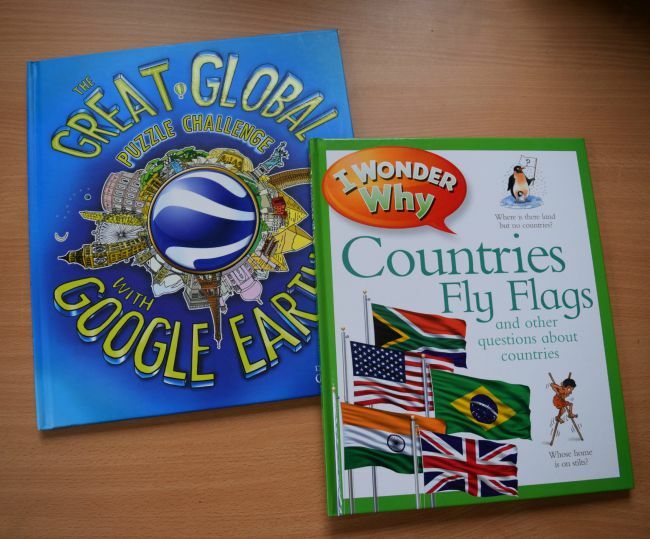 I Wonder Why Countries Fly Flags (affliate link) is a wonderful teaching book because each page explores a question - sometimes two! I like to begin by asking my kids the question first and making it interactive by having them share/guess their answers. Sometimes we write things on our dry erase board in a KWL chart, or simply list what we do know and make educated guesses to complete the answers. Sometimes all I need to do is ask them guided questions, while at other times we have to do research. This particular book is a clever source of information from around the world. 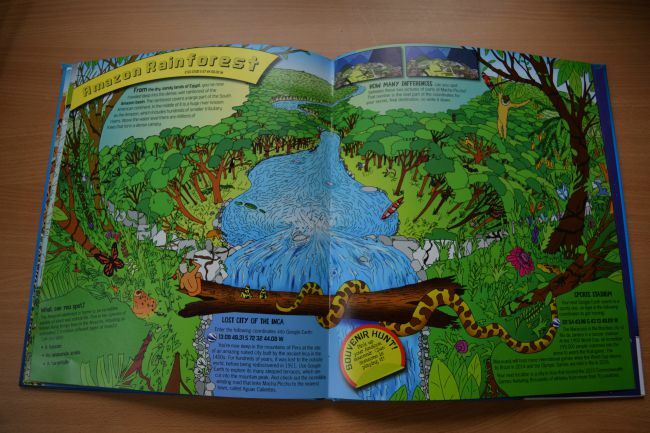 And the illustrations are vibrant and engaging for my kids. I think your child will love it, too! The second book is The Great Global Puzzle Challenge with Google Earth (aff link). This is just a fascinating book. 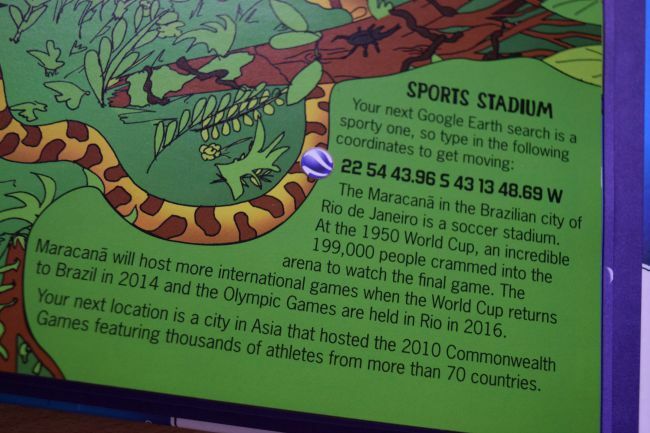 It is designed to be used with Google Earth and is packed with puzzles, things to spot and places to explore. You might visit London on one page and the Amazon Rainforest on the next. I love that my kids learn how to use Google Earth by typing in coordinates and then zooming in to the picture to find specific items listed in the book. Each page also comes with fun little brainteasers for your kids to solve before moving on. 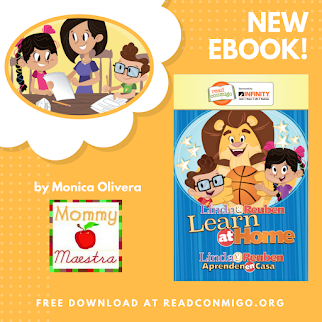 One lucky MommyMaestra reader will win both books to use at home or in school! These books look great! My girls would love them! These books are awesome! My kids love learning about the world and we have maps all over our kitchen. These books would compliment our homeschooling. I have always loved geography! I love learning about other people, countries and their culture. I would love to have this to share my interest with my children. I would probably be just as interested in the books as them! 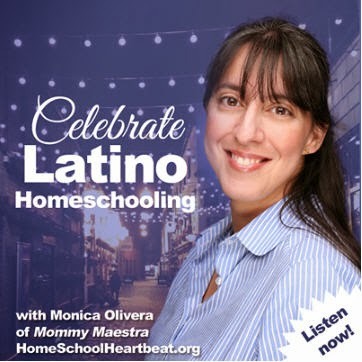 As a Hispanic woman living in the U.S. and married to a white man, I want to expose my children as much as possible to their Hispanic heritage and the fact that we live in a multicultural world not just an American world. This would be great to do that! I want to teach about world cultures because it makes us less selfish and able to love others more fully, regardless of our differences. World cultures are fascinating! It's so important for our children to learn that there is more to this world than just our community, our city, and our country. Learning about others and their cultures gives us the ability to be understanding and flexible. There's not just one way to do things. Thanks again for providing such great resources! I want my children to know their is an entire world outside of their own and to love and respect the similarities and differences. These look wonderful! We really try to focus on world cultures, to help the kids see themselves as part of the wider world, so these would be a wonderful resource! Exploring different cultures is important for raising worldly citizens and helping children embrace diversity. 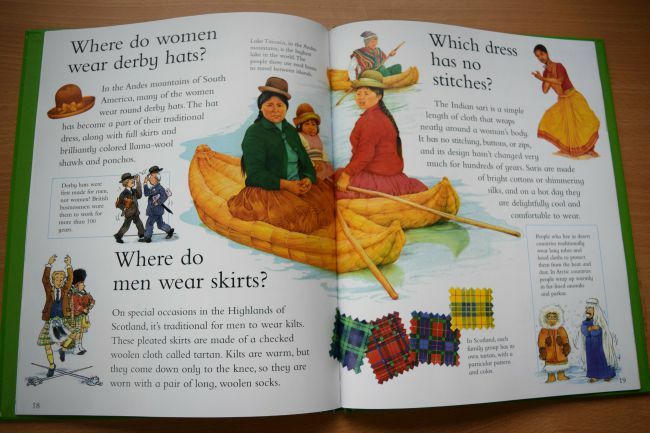 Would love to use these books to teach my children about diversity. I have been teaching my 8 yr old all about the United States, capitals, etc., and now would like to include the World and other countries. I LOVE culture and I want to impart that love into my kids. Thanks for the opportunity!